DURARARA!! (DRRR!!) is created by Ryohgo Narita, illustrated by Suzuhito Yasuda and published by ASCIII Media Works. This is only a fansite and the webmistress doesn't intend to violate those rights. 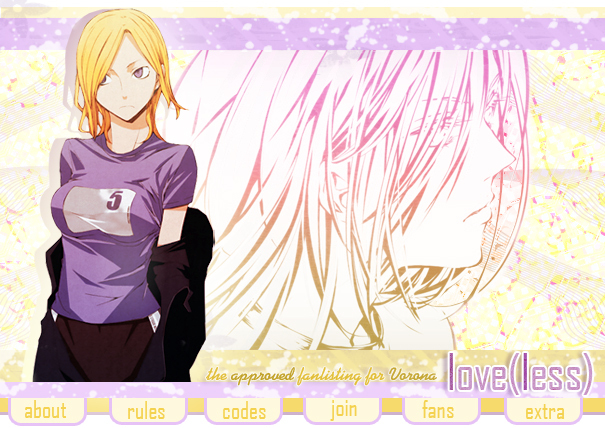 Layout is (c) Akira K.S. Do not reproduce without permission. Online since May 17th, 2010. Colourings: rinzumu, novel scans by Kekoa, fanart by Chry, Naporiko, Ageha, M-Ta, Achii, Ecoh, sprite by Choco, brushes by Kerri, Heidi, In Obscuro, patterns by Hybrid Genesis.